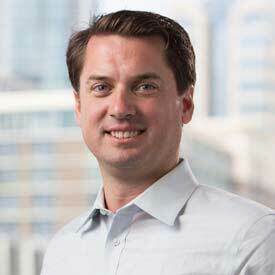 Ryan Falvey is the Co-Founder and Managing Partner of the Financial Venture Studio. Since launching in mid-2018, the Studio has invested in 18 of the country’s most promising early stage startups and has established itself as the home for talented founders who are building the future of financial services in the U.S. Prior to launching the Financial Venture Studio, Ryan spent 15 years identifying, supporting and leading market-changing innovations in technology. Most recently, leading the development of the Financial Solutions Lab, a partnership between JPMorgan Chase and CFSI. The 40 firms that Ryan is invested in have received over $500m in follow-on capital and currently serve over 10,000,000 American consumers. Ryan has a graduate degree from Yale and an undergraduate degree from UCLA.